Giving to your husband can sometimes seem a bit self-serving. When you share your life with a person, giving them something can sometimes be a gift for yourself, as well. After all, they don't say, "What's mine is yours, and what's yours is mine," for nothing. So your mission is to find a gift that he can personally use or appreciate. The first thing you'll want to remember when giving a gift is to give something that will make him happy. That usually means giving him something he would have bought himself is a no-go. Finding a logically minded man a practical gift he doesn't need may not be easy, but that's the goal for most spouses. You'll want to find a gift that tells him you love him, but more importantly, that you understand him. So while chocolate-covered strawberries may be a favorite for you, a fancy power tool is probably more up his alley. But it also depends on the type of guy your husband is: some love woodworking, while others live and breathe for their favorite sports teams. Some are golfers, while others are techies. Fortunately, there are plenty of options that make fabulous gifts that are in line with just about any unique interest or hobby your husband might have. Still stuck on what to buy for your guy? We've rounded up five great gift ideas below. If the right gift for your guy isn't on this list, these ideas might just inspire you to come up with the ultimate unique gift idea for your hubby. You may initially think this is for the man just beginning to build his tool collection. But consider the possibility that your guy may have a lot more tools – and less space to store them – as he builds his garage up. This tool center will allow him to organize a messy, tool-filled garage. And a bonus for you: a perfectly organized set of tools may bring peace to the chaos and make him more likely to tackle some of those items on that honey-do list. 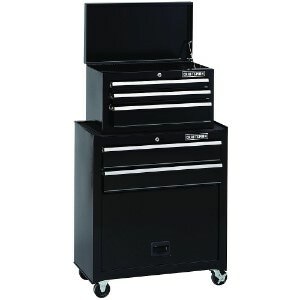 The casters on the bottom of this tool chest will support up to 500 pounds, so it's capable of holding your hubby's heaviest tools. It measures 44.25" H x 26.5" W x 14" D and weighs 77 pounds empty. All-steel construction and three-year warranty make this a gift that he'll likely use for the rest of his life. 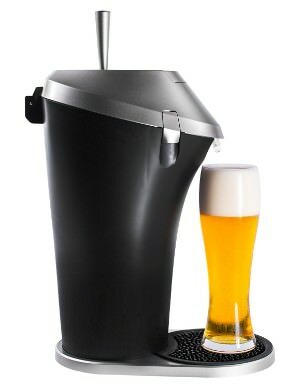 This is a wonderful luxury item that will have him enjoying his beer in a whole new way. You could find a large keg-o-rator for hundreds of dollars, but buying and actually drinking a keg before it "skunks" isn't as easy as it sounds. This little device is perfect for the man who just wants the taste of beer on tap on an ordinary evening, but without all the fuss. This portable beer system is compatible with all beer styles, from a standard can to a 64-ounce growler. So no matter what he likes, he can have his beer on tap, filtered through a patented gas and fluid process to enhance the taste and flavor. No CO2 or nitro or any other refilling products are necessary. He can take this with him to a buddy's house to share or keep it all to himself. This is a great idea for a hubby who has a busy morning. With this coffee maker, there's no more waiting for the Keurig to warm up or set the timer on the coffee pot. And who wants a hot cup of coffee when it's hot outside? This is the perfect new go-to for those hot summer mornings: iced eoffee. Add some ice and milk or his favorite creamer, and this morning ritual becomes a spectacular way to get him moving in the morning. 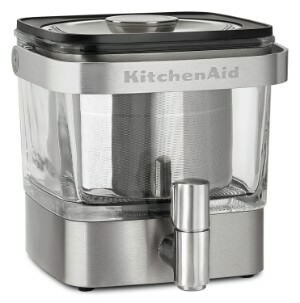 The steeper is stainless steel and holds between 12 to 14 ounces of coffee grounds so he'll be able to make it as dark as he likes (in fact, they call this "concentrated coffee"). The container holds 28 ounces, so up to 14 servings, depending on how (or if) he dilutes it. The coffee will last roughly two weeks, and its compact design means it won't take up a lot of valuable space in the fridge. If your husband likes to grill, then you will want to take a look at this. This smoker is a way to take his grilling mastery to an entirely new level. Not only can he smoke the meat in a completely hands-off way, but if he wants to experiment, there are many different ways to tweak the taste of his creations. Between chips and rubs and sauces and temperatures, he'll never run out of ways to awe you (and the neighborhood) with his grilling expertise. 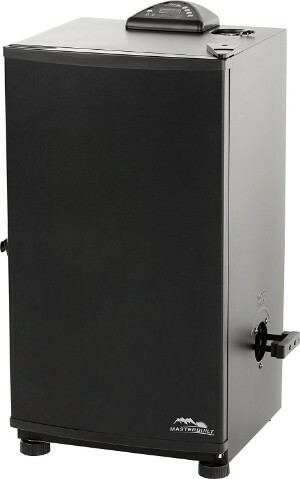 This smoker has a digital control that allows you to turn it on and off, set the temperature, and set the time. So he can get up in the morning, pop in a brisket, and go about his day. And when he's ready for it, the meat will be smoked to perfection. There are four smoking racks, so he has plenty of room to make enough to feed you and the whole extended family. It comes with a water bowl for adding moisture and catching drippings, and the wood chip motor lets you add wood chips without ever having to open the door. This sign is a perfect reminder that while your husband's life is full of events and experiences, specific days have changed everything. This is the most sentimental gift on our list, but it isn't just for the sensitive types. It has an obvious approach to sentimentality that even the most practical man will appreciate; after all, it's just dates. And it's especially appreciated if your hubby struggles to remember those important dates. It comes in your choice of nine colors and four sizes at varying prices. But at just under $40 for the 8" x 8" version, it's a great value. The back includes a pre-drilled hook so that it will hang flat on the wall, and the board is 3/4" thick and solid maple so it will last as long as your marriage (forever!). Gift-giving is supposed to be fun, not stressful. Whether one of the gift ideas above is just right for your man or they've inspired you to come up with a unique gift just for him, finding the perfect gift for the man you love is an accomplishment you can feel proud of.